Victoria Fischer was born in Immelstetten Mindelheim on 26 February 1916. 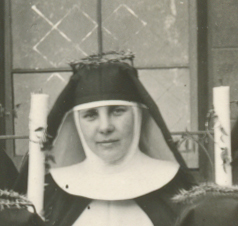 She entered the Congregation as a Postulant at St Immaculata Convent in Schlehdorf in December 1934 and made her profession on 28 June 1936. In South Africa, while at the Convent in Belgravia she completed her Nursing Training and subsequently nursed at Glen Grey Hospital, Lady Frere, Mater Dei Nusing Home, East London and Marydale Nursing Home, King William’s Town. Maria Hartmann was born in Guenzburg on 10 October 1907. 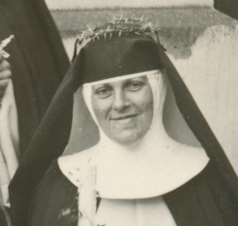 She joined the Congregation as a Candidate at St Immaculata Convent in Schlehdorf in 1927 and made her profession on 6 August 1929. On her arrival in South Africa she began to teach music at several Convent Schools including those in Graaff-Reinet, Potchefstroom, Springs. From the 1950s she studied nursing and nursed at the Umlamli Mission Hospital near Sterkspruit and Glen Grey Hospital in Lady Frere. At St Martin de Porres Mission in Marapyane she was Superior and ran a Clinic. Margareta Aicher was born in Punschern Rossdorf Laufen on 5 November 1911. 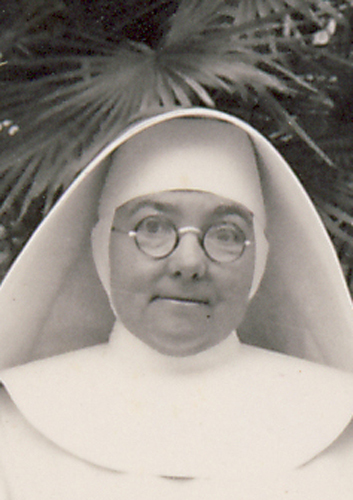 She entered the Congregation as a Postulant in February 1934 and made her profession on 28 June 1936. While at the Motherhouse in the late 1930s she studied at the Teachers’ Training College and later taught at the Congregational Schools in Graaff-Reinet, King William’s Town, East London and Springs. Gertrud Musger was born in Wien Austria on 28 November 1924. She joined the Congregation as a Candidate at St Immaculata Convent, Schlehdorf in March 19254 and made her profession on 29 October 1927. In South Africa she began teaching at the Motherhouse and then at the schools in Fort Beaufort, Cradock, Springs, Brakpan and Klerksdorp. 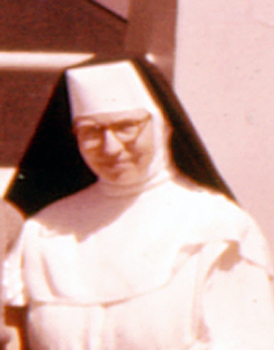 In 1953 she returned to St Immaculata Convent in Schlehdorf where she was Novice Mistress and continued teaching. Catherine Rose Kampfert was born in Kimberley Cape Province on 13 January 1907. 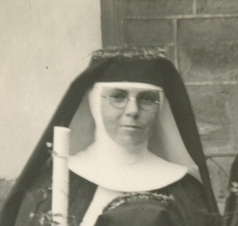 She entered the Congregation as a Postulant at the Motherhouse in King William’s Town in December 1923 and made her profession on 18 July 1925. She taught Commercial Subjects at the Convent Schools in Klerksdorp, Ermelo, Nigel, Witbank, Potgietersrus, Fort Beaufort, Queenstown, Stutterheim and East London. She retired from teaching at St Catherine’s Nursing Home where she was bursar. Theresia Fackler was born in Niederrieden, Memmingen, Bavaria on 27 September 1907. She entered the Congregation as a Candidate st St Immaculata Convent in February 1928 and made her profession on 5 January 1931. In 1931 she took up her duties at the Convent in Klerksdorp in the, then, Transvaal. In 1939 she moved to the Eastern Cape where she worked in various houses, spending many years at the Convent of Our Lady of the Rosary in Izeli. Margarete Matyschik was born in Schwirz Namslau Schlesien on 2 April 1914. 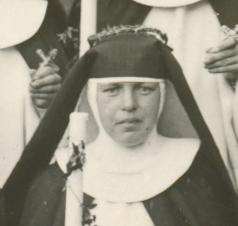 She entered the Congregation as a Postulant in October 1934 and made her profession on 28 June 1936. She taught music at various Convents in South Africa including the Schools in Graaff Reinet, Springs, Brakpan, Negel, Ermelo and Welkom. Theresia Frauenknecht was born in Stocikelsberg Oberpfalz Bavaria on 6 February 1906. She entered the Congregation as a Candidate at St Immaculata Convent in February 1928 and made her profession on 28 June 1931. The same year found her working at the Convent in Fort Beaufort and thereafter in various Convents including the Motherhouse, St Dominic’s in Stutterheim, St Hyacinth’s in Nigel, and St Thomas Aquinas in Witbank. Anna Meier was born in Bischberg, Sindbach Neumarkt. Oberpfalz on 24 April 1903. She entered the Congregation as a Candidate at St Immaculata Convent in February 1929 and made her profession on 5 January 1931. After coming to South Africa she worked for a few years at St Joseph’s Convent in Potgietersburg and St Scholastica’s Mission in Tshitali before taking up her close on 50 years of work at St Vincent Convent and School for the Deaf in Melrose, Johannesburg. Alice Elizabeth Lyons was born in Beaconsfield, Kimberly in South Africaon 12 April 1901. 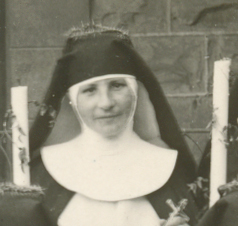 She entered the Congregation as a Postulant at the Motherhouse in King William’s Town in December 1933 and made her profession on 5 January 1935. From 1935 she taught at the Convent in Potchefstroom concentrating on the Commercial subjects. 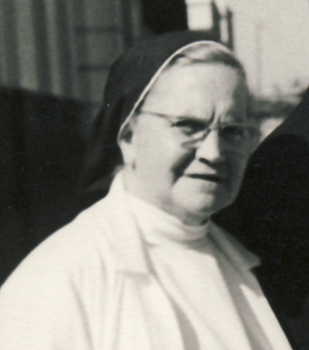 At the end of WWII she took up nursing and nursed at the Mater Dei Nursing Home in East London, San Salvador Home in Hyde Park and St Mary’s Maternity Home in Springs. Stella Vuyiswa Nonimba was born on 1 January 1950. She entered the Congregation as a Postulant in February 1968 and made her profession on 10 January 1970. Katharina Bernemann was born in Bockum Datteln on 18 January 1909. 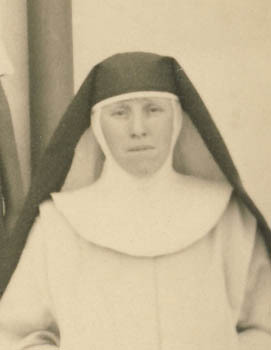 She entered the Schwichteler Dominican Congregation as a Postulant in August 1937 and made her profession in the same Congregation on 1 November 1940. 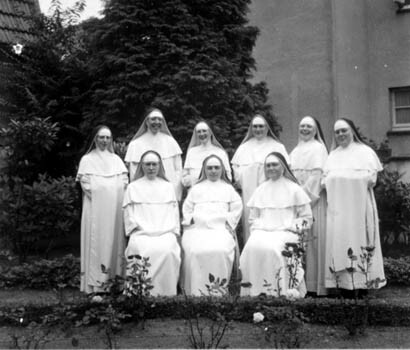 In 1949, together with a group of like-minded Sisters, and with the permission of the Bishop, she jointed the ‘King’ Dominicans at St Immaculata Convent in Schlehdorf. Auguste Josepha Fischer was born in Ellwangen Wuerttemberg on 31 December 1904. 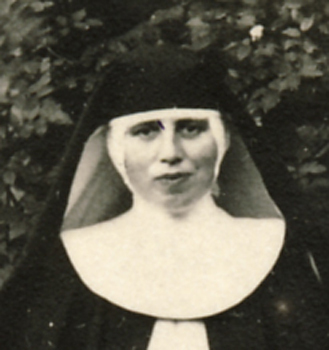 She entered the Congregation as a Postulant at St Immaculata Convent, Schlehdorf in April 1926 and made her profession on 29 October 1927. In 1928 she came to the Motherhouse in King Williams Town to complete her studies and in 1933 took up Teaching, beginning at Maria Hilf Mission and continuing at the Missions in Potchefstroom, Izeli and Eldorado Park. From 1949 she taught at the Convents in East Londo, Queenstown and Klerksdorp. Theresia Eckl was born on 9 April 1909 in Stammham Ingoldstadt. 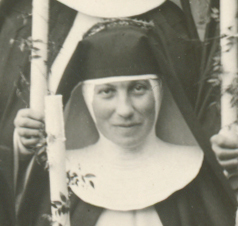 She entered the Congregation as a Postulant at St Immaculat Convednt in Schlehdorf in February 1931 and made her profession on 28 June 1933. In 1934, in South Africa, she began working at the Convent in Queenstown and then at the Mater Dei Nursing Home in East London where she did midwifery and District nursing. In the mid 1960s she trained at the Umlamli Mission Hospital in Sterkspruit in General Nursing after which she worked at the St Martin de Porres Mission Hospital in Marapyane. Anna Huber was born in Ecker Post Engelsberg Oberbayern Bavaria on 15 October 1913. 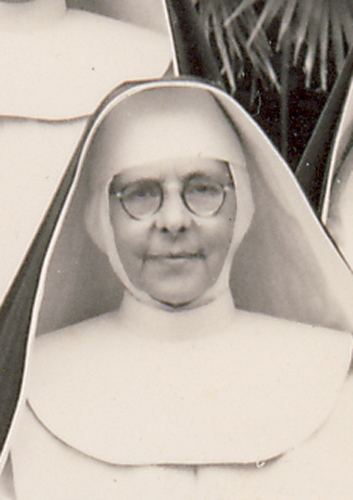 She entered the Congregation as a Postulant in February 1933 and made her profession on 5 January 1935. Sr Athalia worked in many of the Mission Convents in South Africa, including those in Queenstown, Cradock and Izeli. Maria Josepha Ruthig was born on 4 August 1909 in Queidersbach Wuerttemberg. 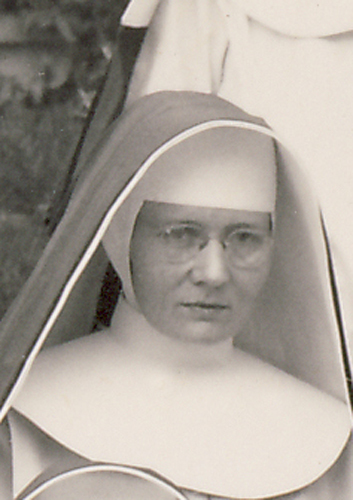 She entered the Congregation as a Postulant at St Immaculata Convent in Schlehdorf in July 1934. In 1937 she began teaching a Kindergarten class at St Hyacinth’s Convent School in Nigel.This was followed by a few years of teaching at the Convent of Our Lady of Mercy in Springs and then many years at St Vincent School for the Deaf in Melrose, Johannesburg. 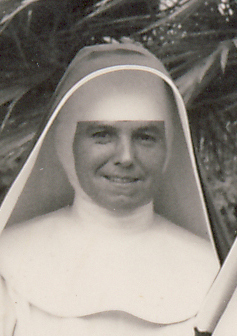 Later she was Superior at St Hyacinth’s Convent in Nigel then at St Martin de Porres Mission in Marapyane. Maria Maier was born in Erlis Markt, Rettenbach on 11 April 1904. 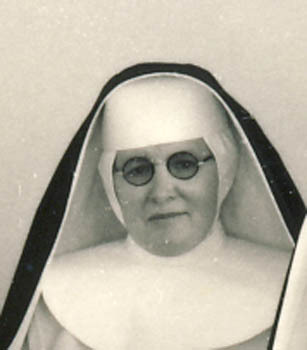 She entered the Congregation as a Candidate at St Immaculata Convent in January 1922 and made her profession on 27 April 1926. She taught Primary School classes in the various Convent Schools in South Africa including Witbank, Potchefstroom, Springs, Welkom, Klerksdorp and Ermelo where she was Prioress. She retired from teaching at St Pius Convent in East London. 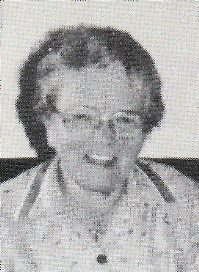 Elisabeth Forster was born in Scheyern, Pfaffenhofen, Oberbayern on 4 May1908. 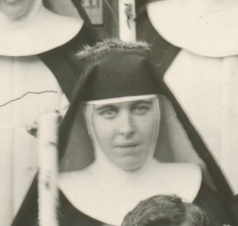 She entered the Congregation as a Postulant at St Immaculata Convent in July 1929 and made her profession on 5 January 1931. In the same year, at the Motherhouse in King William’s Town she began her studies which were followed by teaching at Maria Hilf in Woodlands, St Pius in East London, Bl Imelda in Brakpan, St Thomas in Village Main and St Agnes in Welkom. Katharine Wandinger was born in Frauenvils b. Dorfen, Oberbayern on 30 October 1909. 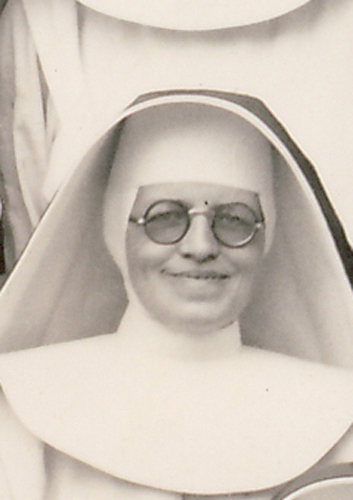 She entered the Congregation as a Candidate at St Immaculata Convent in March 1928 and made her profession on 6 August 1929. She came to South Africa where she worked at the Motherhouse for a while and was then sent to St Vincent School for the Deaf in Melrose. This was followed by St Thomas Aquinas in Witbank, St Agnes in Welkom, the Convent of the Sacred Heart in Cradock, Umlamli Mission Hospital in Sterkspruit and the Mater Infirmorum. Eva Gaes was born in Dusseldorf on 26 July 1909. 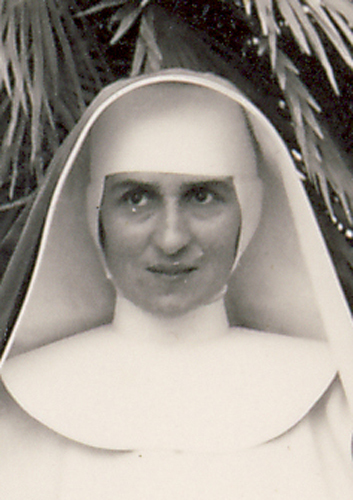 She entered the Congregation of the Schwichteler Dominican Sisters as a Postulant in August 1938 and made her profession on 8 December 1941. In 1949, with a group of missionary-minded Sisters she received permission to enter the ‘King’ Congregation at St Immaculat Convent in Schlehdorf. In 1951 she came to South Africa where she taught the little ones at the Convent Schools in Belgravia, Queenstown and Middelburg, CP. For many years she did administrative work at the Mater Dei Nursing Home until she retired at St Catherine’s in Queenstown..
Eileen Agnes Carter was born in Port Elizabeth, South Africa on 25 November 1902. 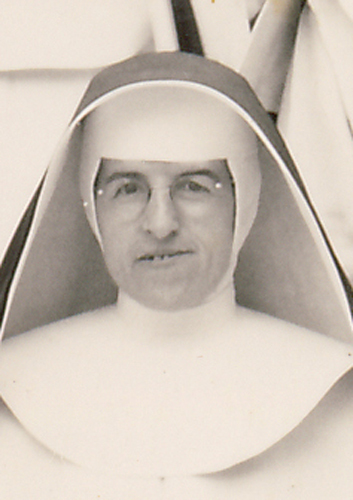 She entered the Congregation as a Postulant at the Motherhouse in January 1952 and made her profession on 6 July 1953. She worked at various Convents including St Dominic’s Convent, Stutterheim, St Pius Convent, East London, The Motherhouse in King William’s Town and the Mater Infirmorum. Carola Hainthaler was born in Munich, Bavaria on 26 April 1927. She entered the Congregation as a Candidate at St Immaculata Convent in January 1928 and made her profession on 5 January 1931. In the same year she began her studies at the Motherhouse and in 1948 went to teach at St Albert’s Convent in Hinckley, England, where she remained until her death. Maria Anna Nickolay was born in Bochum Westfalia on 12 January 1925. She entered the Congregation as a Postulant at St Immaculata Convent in January 1954 and made her profession on 31 JULY 1956. In 1957 she took up her duties caring for boarders, first at the Convent in Izeli and then in Cradock. She also worked at Bl Imelda’s Convent in Brakpan and St Pius Convent in East London. Maria Schaerdinger was born in Niederreising Bavaria on 2 February 1910. 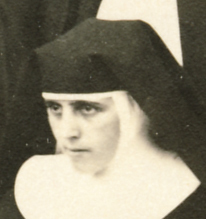 She entered the Congregation as a Postulant in March 1932 and made her profession on 5 January 1934. She taught mainly the little children of the Kindergarten classes, beginning at Holy Rosary Convent Mission School. 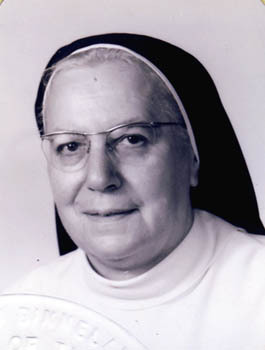 In 1942 she began teaching at St Vincent School for the Deaf in Melrose, Johannesburg. Here she was to remain until 1989, teaching and, later, as Infirmarian. Rosina Moik was born in Graz, Austria on 21 February 1908. She entered the Congregation as a Candidate at St Immaculata Convent in March 1927 and made her profession on 6 August 1929. In 1929 she began her studies at the Motherhouse and in 1931 began teaching High School Classes at the Convent School in Graaff Reinet. She also taught at the Convent Schools in King William’s Town, Cradock, Witbank, Nigel, Springs and East London. Maria Walz was born in Marlach an der Jagst on 26 May 1903. 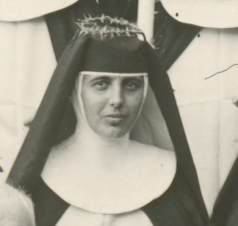 She entered the Congregation as a Postulant at St Immaculata Convent in January 1928 and made her profession on 28 June 1930. She remained in Germany, working at the Convents in Schlehdorf, Munich and Dachau. Anna Katharina Grimm was born on 30 January 1903. She entered the Congregation as a Candidate at St Immaculata Convent, Schlehdorf in April 1925 and made her profession on 29 October 1927. 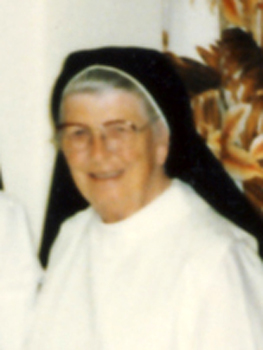 In 1928 she began work at St Thomas Aquinas Convent School in Witbank, teaching at the Mission. She also drove the Convent motor car. 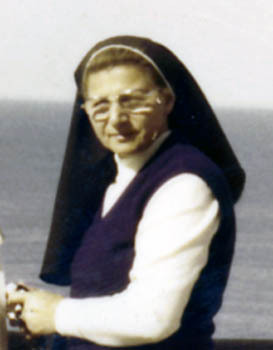 In 1948 she began teaching at St Benno’s Mission in the Queenstown area then at the Convent School in Queenstown. Towards the end of her life she had the care of the Sisters’ Cemetery at the Mater Infirmorum. Elizabeth Gfroereis was born on 6 January 1908. 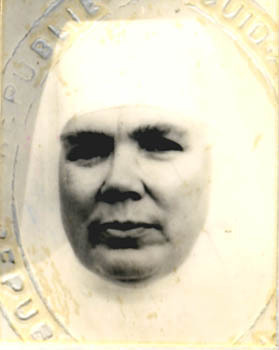 She entered the Congregation as a Candidate in March 1925 and made her profession on 30 October 1928. In 1929 she began as a Student Teacher in King William’s Town and subsequently taught at Maris Stella, St Anne’s and St Pius Convent Schools in East London, and the Convent Schools in Klerksdorp and Welkom. Johanna Mack was born on 5 November 1898 in Roelingen, Ellwangen, Wurtemberg. She entered the Congregation as a Candidate at St Immaculata Convent in April 1925 and made her profession on 30 October 1928. In South Africa from 1929 she began as Infirmarian and care of Boarders at the Convent Schools in King William’s Town, East London, Queenstown and Klerksdorp. In 1940 she began Maternity nursing at the newly opened Mater Dei Nursing Home and then at St Catherine’s Nursing Home in Queenstown. 1951 saw her nursing at St Mary’s Maternity Home in Springs. From 1963 she worked at the Chikwingwizha Minor Seminary, providing health care for the seminarians.